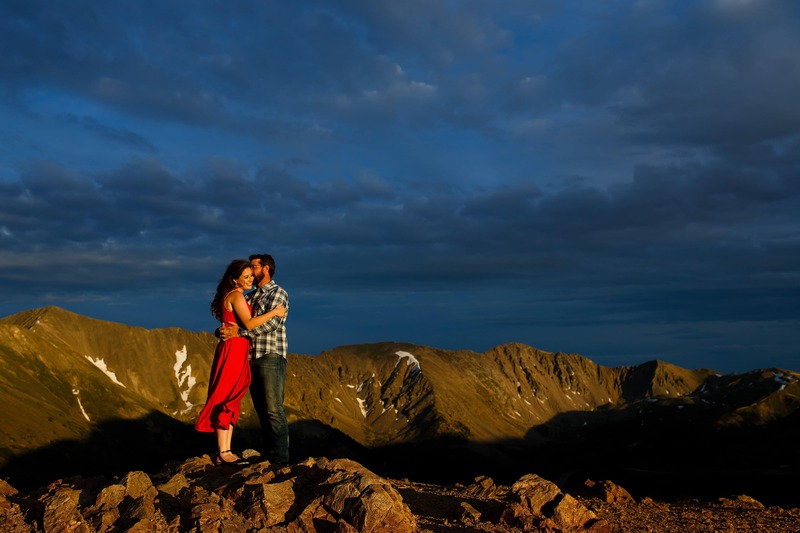 Colorado is known for breathtaking views in the Rocky Mountains and the scenery didn’t disappoint for Mallory and Daniel’s Georgetown and Loveland Pass Engagement Photos earlier this week. 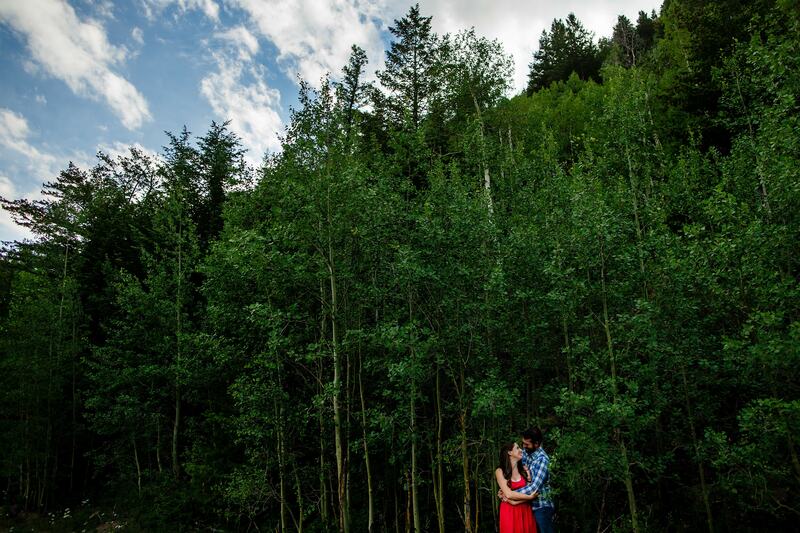 Daniel actually proposed to Mallory after one of her piano concerts near the Georgetown Loop Railroad so I was excited to photograph them in a location that meant a lot to both of them. 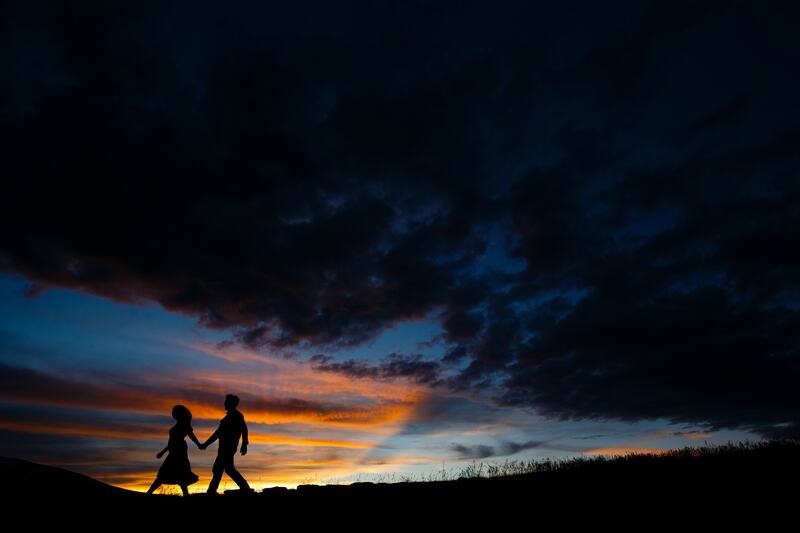 I truly believe that the more meaningful the location for an engagement session, the better the images can be. I typically start things off at a bar so everyone can loosen up but since we were chasing light I opted to bring them some beers in a cooler so they could enjoy them during the session. 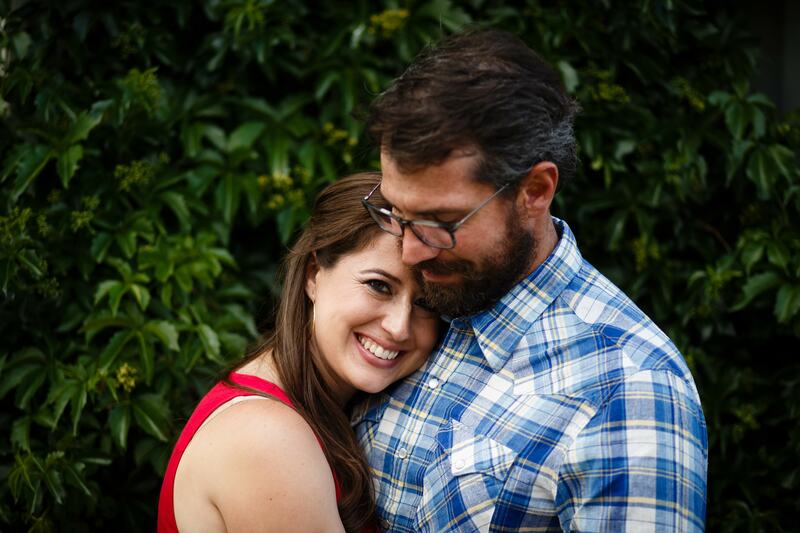 Mallory and Daniel didn’t need any liquid courage and were complete naturals in front of the camera. They’re clearly meant for each other and it shows in the images. 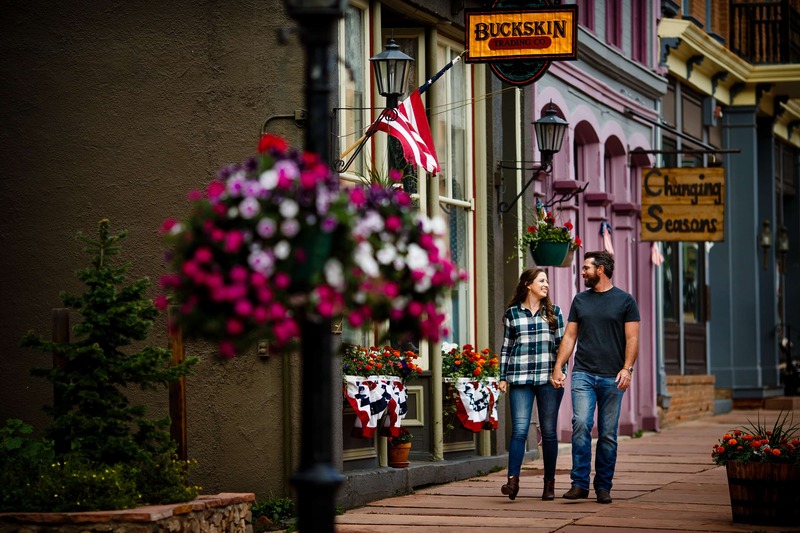 First we made a few photos in downtown Georgetown which featured an adorable strip of shops full of color and life. 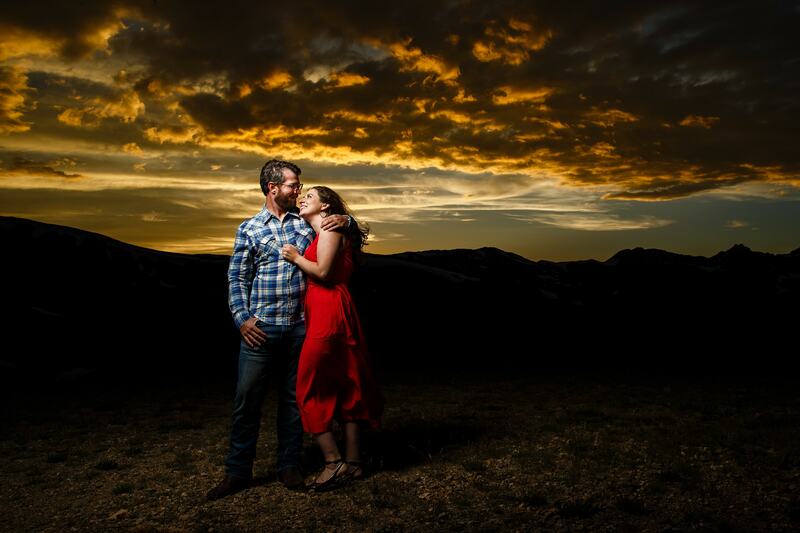 After a quick outfit change they jumped in my car and we all drove up Guanella Pass Road to a few locations that I had scouted earlier in the day. 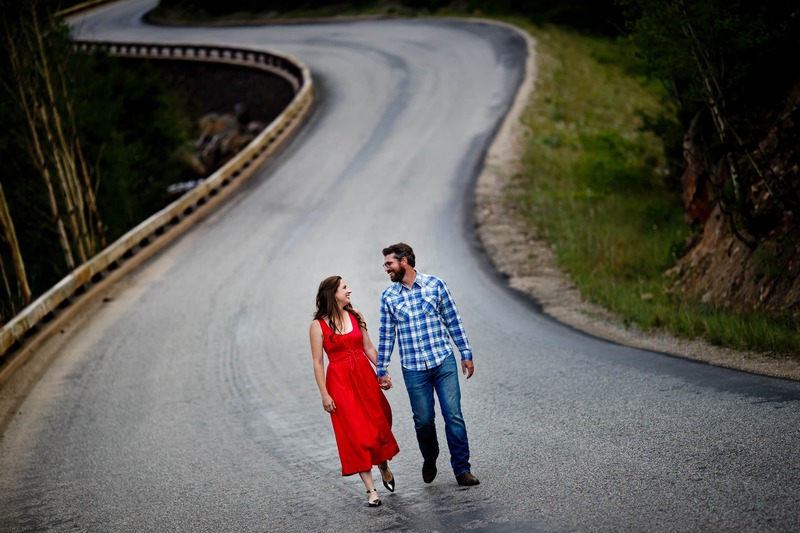 The twisty chicane in the road and lush aspen groves made for great images, especially with Mallory’s bold dress color. 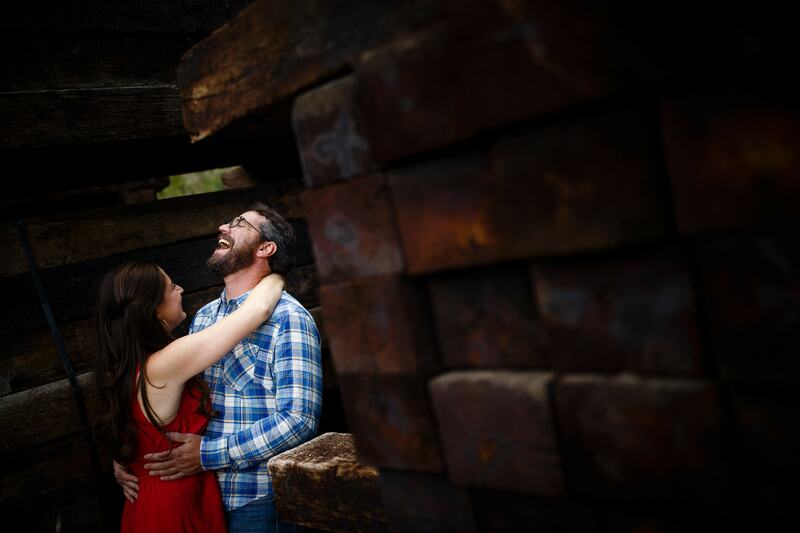 Since Daniel proposed near the tracks of the local train loop we made sure to include that in the session. Typically train tracks can feel cliche but the unique bridge and personal story warranted making some images there. 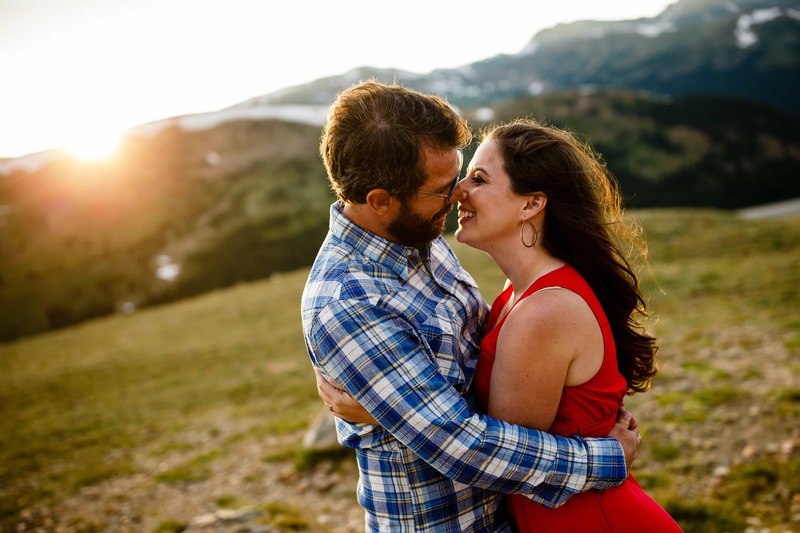 When I talked to Mallory about locations for the session I had suggested we try and sneak in a quick stop atop Loveland Pass for some sunset images. 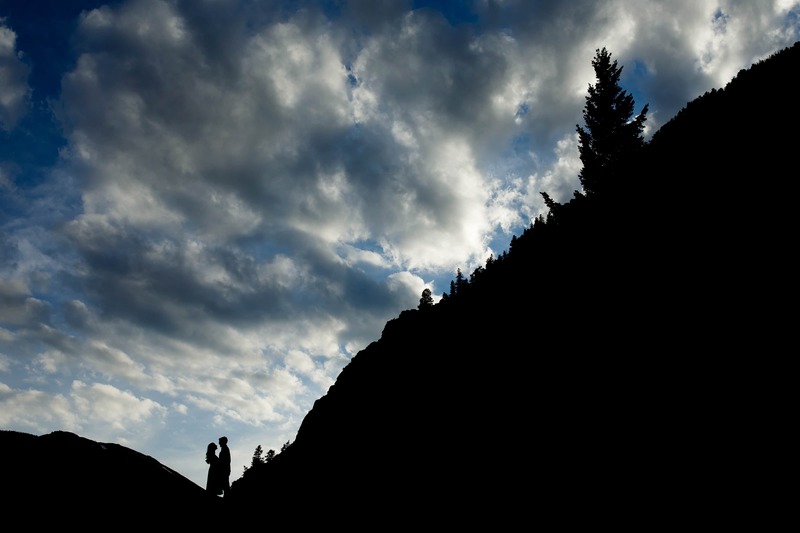 Since the pass sits at 11,991 feet the sunset occurs at around 8pm this time of the year. 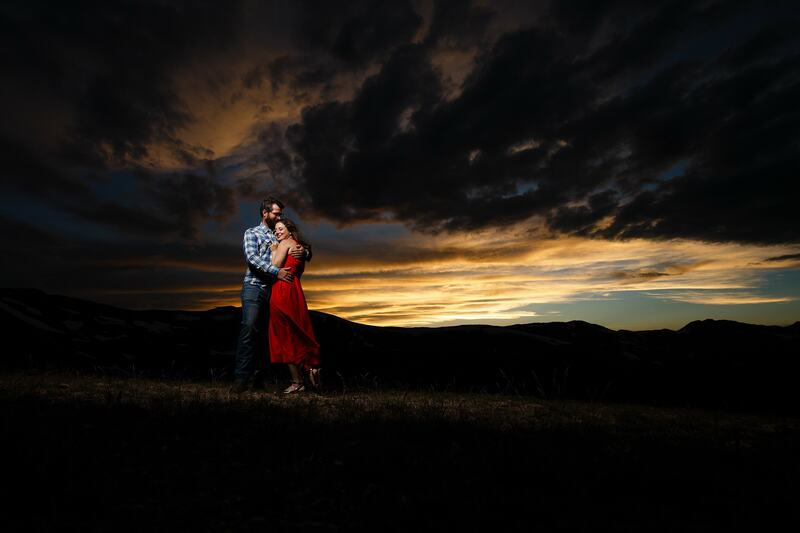 It’s a good 22 minute drive from Georgetown so we had to hustle to get the good light. I had my friend and colleague Trent meet us on top of the pass to hold a light for me and lend a helping hand. The sun peeked out from behind the clouds just as we parked the car and boy was it beautiful up there. Despite being nearly 100 degrees in Denver that day, it was below 50 degrees at the top of the pass at 8pm. I have to commend Mallory for being a real trooper in the dress. She didn’t complain once about the cold or the wind and we were able to walk away with a killer set of pictures as a result. 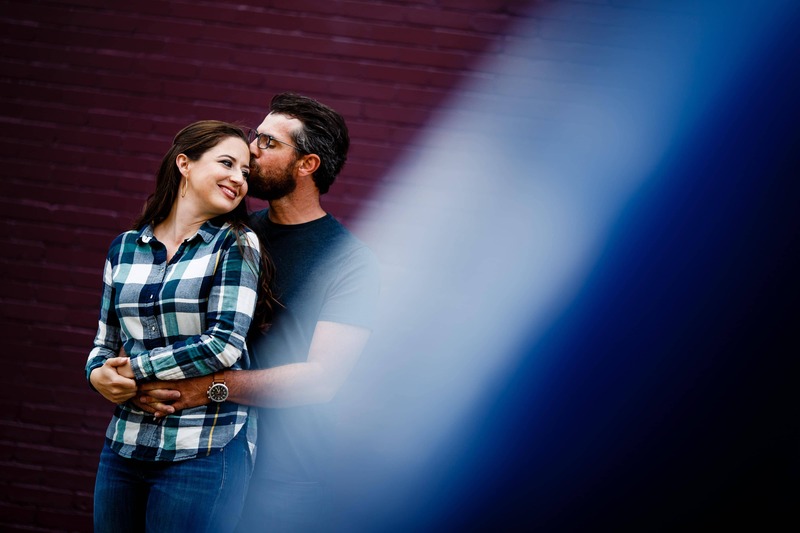 It’s easy to see why this is one of my favorite engagement sessions in recent memory. 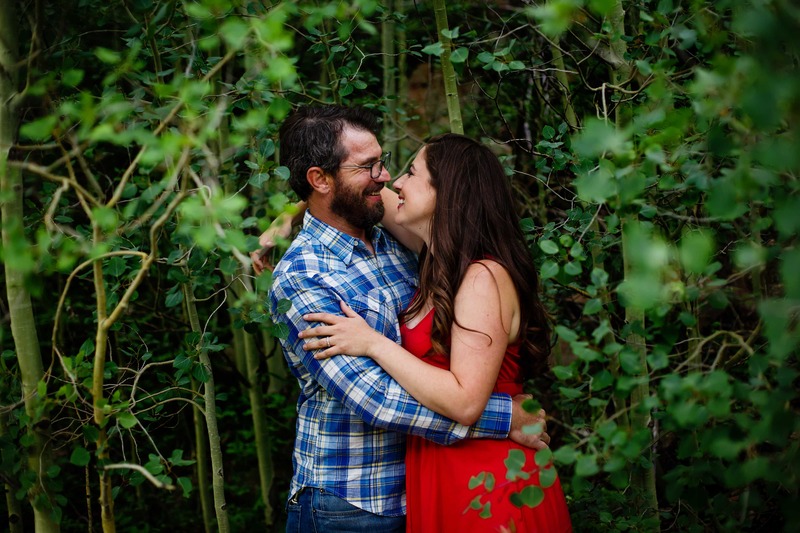 I can’t wait to document their fall wedding at the Snowmass Cottages near Aspen this September. It’s sure to be a stunner.